A discovery about how the bodies of pregnant women cope with biological stresses that promote protein damage could unlock new ways to treat or even prevent age-related disorders, from Alzheimer’s and arthritis to macular degeneration and heart disease. An international research team found that a powerful protein from the blood of pregnant woman, known as pregnancy zone protein (PZP), inhibits the aggregation of misfolded proteins, including those associated with preeclampsia and Alzheimer’s disease. Their discovery is published in high-profile journal Proceedings of the National Academy of Sciences USA (PNAS). Proteins can be considered the molecular machinery of the body, performing diverse functions that are necessary for life. During pregnancy a woman’s body undergoes dramatic changes. Some of these changes are known to increase levels of protein damage (also known as misfolding). During pregnancies, protein misfolding is associated with preeclampsia. Women with preeclampsia develop high blood pressure, raised protein in their urine and other conditions which can increase risks at childbirth. Protein misfolding also underlies a large number of age-related disorders, including Alzheimer’s and arthritis. University of Wollongong and Illawarra Health and Medical Research Institute PhD student Jordan Cater was lead author of the research paper. “We have known for a long time that it is bad for the body to accumulate damaged proteins. Therefore we predicted that in healthy pregnancy, mothers somehow adapt to cope with protein damage in a unique way,” Mr Cater said. 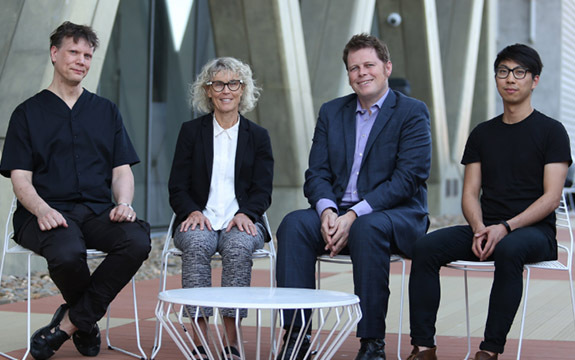 Both of Mr Cater’s supervisors, UOW molecular biologist Professor Marie Ranson and Flinders University medical biochemistry researcher Dr Amy Wyatt, were co-authors of the paper. “This is the first evidence of a major maternal adaptation that allows mothers to withstand elevated levels of protein misfolding in pregnancy. Failure of this system potentially triggers the accumulation of misfolded proteins in preeclampisa, and could also have relevance to some age-related protein misfolding disorders,” Dr Wyatt said. Better understanding of how mothers normally deal with protein misfolding in pregnancy is an exciting new frontier that has the potential to inform the development of new therapies and diagnostic strategies for some of the most common and debilitating disorders of ageing – as well as for preeclampsia. “Our future work will focus on further characterisation of the activities of PZP, including investigation of the potentially protective role of PZP in human diseases including preeclampsia and Alzheimer’s disease,” Mr Cater said. The research team also included prominent international experts Professor Irina Buhimschi (University of Illinois) who originally identified Alzheimer’s-like plaques in the placenta in preeclampsia patients, and Professor Christopher Dobson (University of Cambridge, UK), a world leader in the study of protein misfolding. ‘Human pregnancy zone protein stabilises misfolded proteins including preeclampsia- and Alzheimer’s-associated amyloid beta peptide’, by Jordan H. Cater, Janet R. Kumita, Rafaa Zeineddine Abdallah, Guomao Zhao, Ana Bernardo-Gancedo, Amanda Henry, Wendy Winata, Mengna Chi, Brin S. F. Grenyer, Michelle L. Townsend, Marie Ranson, Catalin S. Buhimschi, D. Stephen Charnock-Jones, Christopher M. Dobson, Mark R. Wilson, Irina A. Buhimschi and Amy R. Wyatt is published in the Proceedings of the National Academy of Sciences USA (PNAS). The research was supported by funding from the National Health and Medical Research Council, an Australian Institute of Nuclear Science and Engineering (AINSE) postdoctoral award and a Research Training Program Scholarship (Commonwealth Government of Australia). Additional funds were from the University of Wollongong and Illawarra Health and Medical Research Institute.